Do you love animal grooming? This animal grooming online course will show you how in 10 easy lessons. You will be guided by our experienced tutors with support for each lesson and feedback on all submitted work. Try for yourself and see how easy it is for you to learn animal grooming. Discuss the scope and nature of grooming animals, including the animals that are commonly groomed, the situations in which they are groomed, equipment that is used and the tasks carried out by a groomer. Describe external anatomical structures and physiological processes of animals which are relevant to grooming. Describe how to manage the coats of different types of animals. 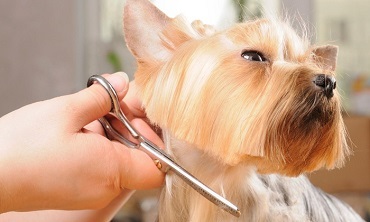 Discuss tasks used in grooming animals that are supplementary to grooming the coat. Describe a range of techniques used to control a variety of different types of animals during grooming. Compare grooming techniques used for different types of dogs. Describe a range of techniques used to groom a variety of different types of animals other than dogs. Explain how to groom dogs, cats, horses and a variety of other animals for a show. Explain how to establish or improve a grooming business to be more successful. Why do humans groom animals? Why do people show pets?